You know those people that get along better with animals than they do people? The kind to go to a party and spend the whole time talking to the dog or cat as opposed to talking with anyone else? 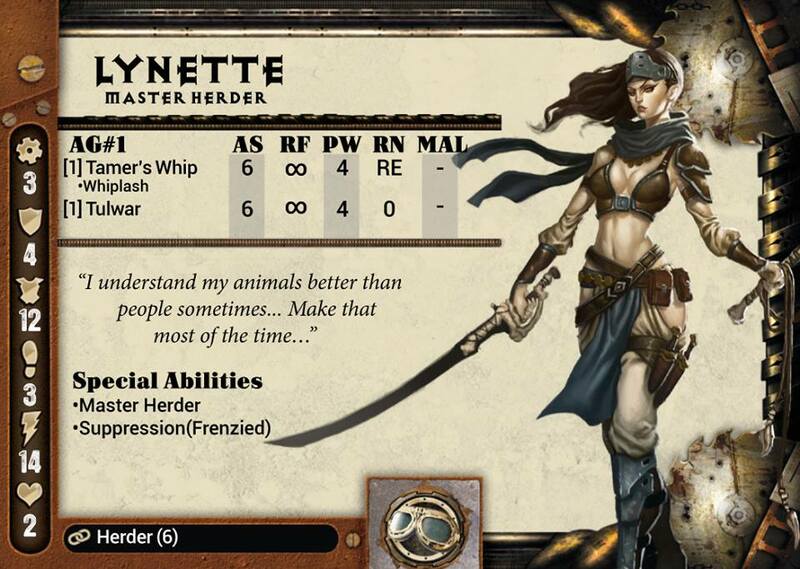 Lynette, Master Herder of the Durshe tribe is one of those people. 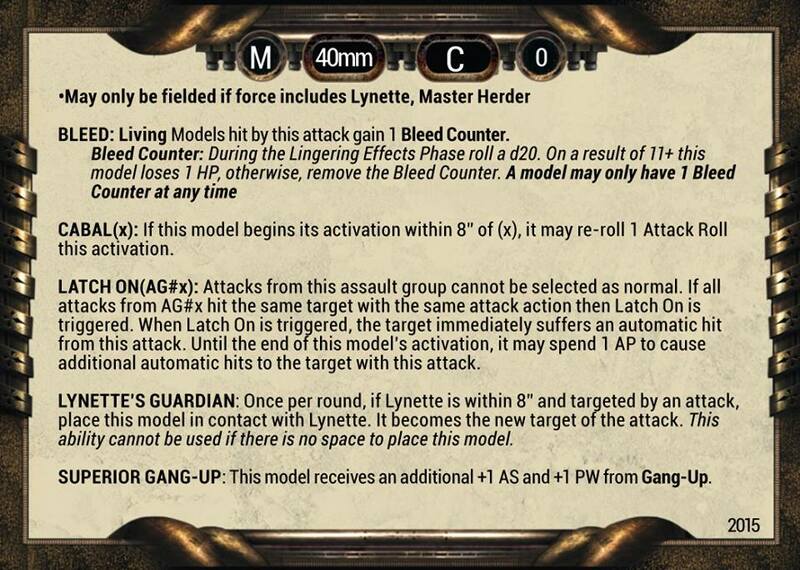 She's also making her way to the tabletops of Dark Age and we get a look at her now. 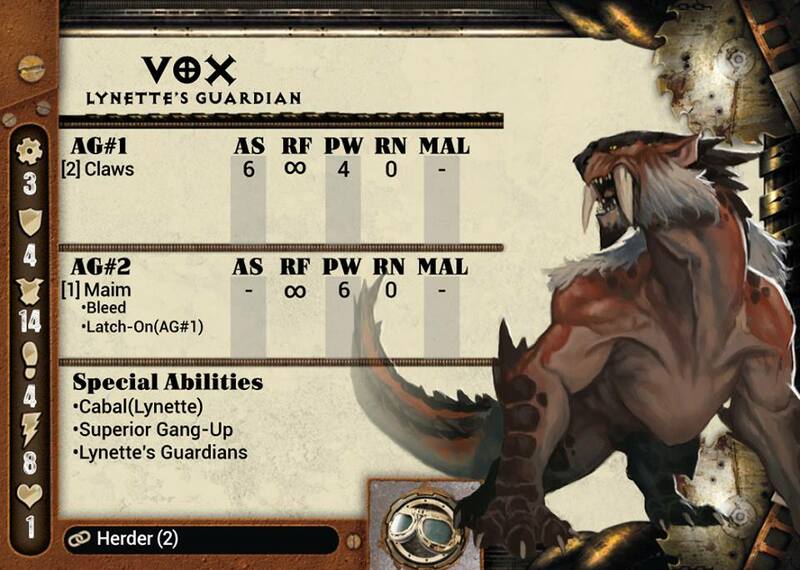 Lynette comes along with her two guardians, Vox and Ideo. 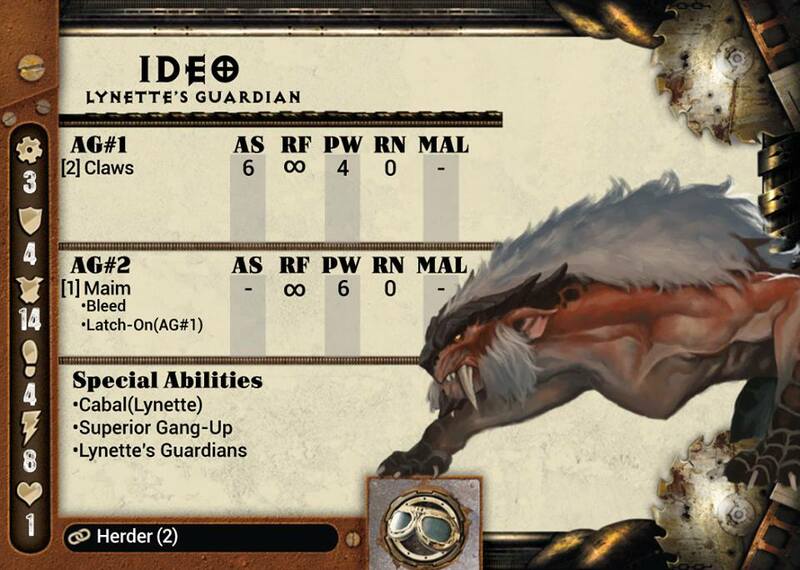 They work rather well as a group, letting others re-roll attacks as well as getting better bonuses from ganging-up on enemies. But it's not just her two sabre-toothed pals she gets along with. Dust Bulls also lose Frenzied when she's around. So if you want to throw angry sides of beef at your opponent, she's a good choice to direct the herd.